Ask Insightful Questions // In your efforts to be useful to your church, there can be a temptation to be the “answerer” … resist this temptation. People who ask penetrating questions that steer the conversation are valuable to any organization. Practice active listening and then construct your questions to help guide the conversation to new insights. Often, leaders are stuck with binary answers to questions … help your supervisors to see “third options.” Lead with questions rather than smart answers. Enable Learning // By definition, you have a more detailed understanding of what’s happening in your area than the people who are leading you have. You are closer to the action because of your seat on the bus. 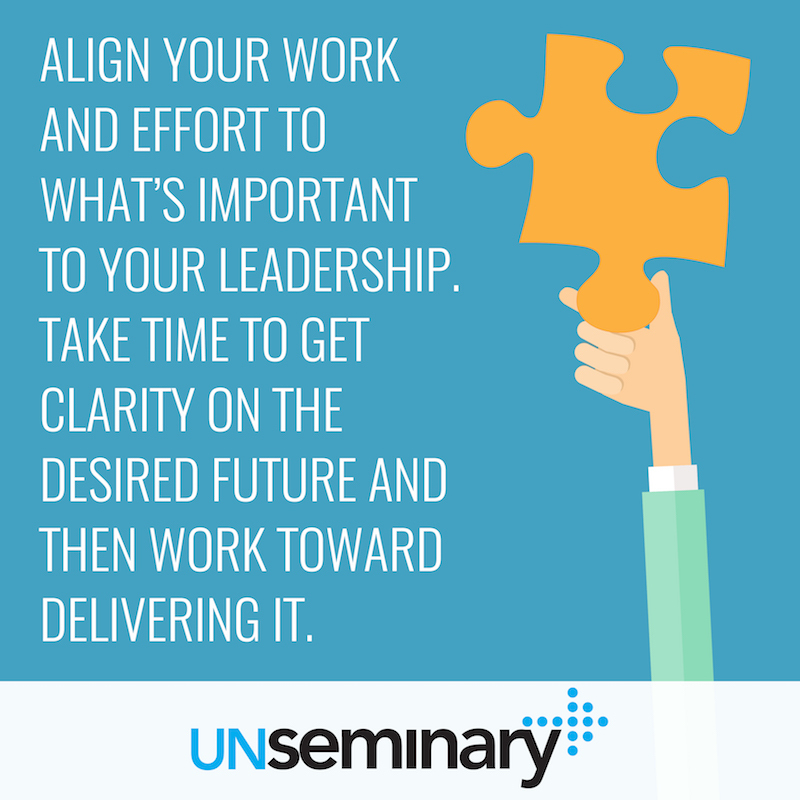 Use this position to help your supervisor learn about the critical factors impacting your ministry. Suggest resources like books, podcasts or conferences to help keep them up to speed on the latest developments in your ministry. This is particularly true when you are led by a volunteer board: you need to take an active role in helping them understand the dynamics of leading a church because their day-to-day reality is likely very different. Public Loyalty Breeds Private Influence // Be unwavering in your support for your supervisor(s) in public. Reference their leadership in your life and ministry. This loyalty will increase your influence down the road because it builds trust with them. Take time out to thank your leaders in front of your community. Give them credit for good stuff that is happening in the organization. Present Solutions Instead of Problems // Leaders see lots of things they’d like to fix in your church. They know there are a lot of areas that need improvement. Don’t be a person who just points out problems without any solutions. If you do need to make your leadership aware of an issue, make sure you also have a potential solution or two. Be Prepared // Leaders self-perceive that they are very busy and so you need to leverage your time with them effectively. Make sure you’re organized every time you meet with them. Write out what you want to discuss in a one-page document and have the data you need to support the conversation. Don’t waste your leader’s time. If you aren’t prepared for the conversation, then reschedule. The Boy Scouts were right — Be Prepared! Do Stuff Other People Won’t // There are tasks in your church that other members of the team won’t do … do those things. 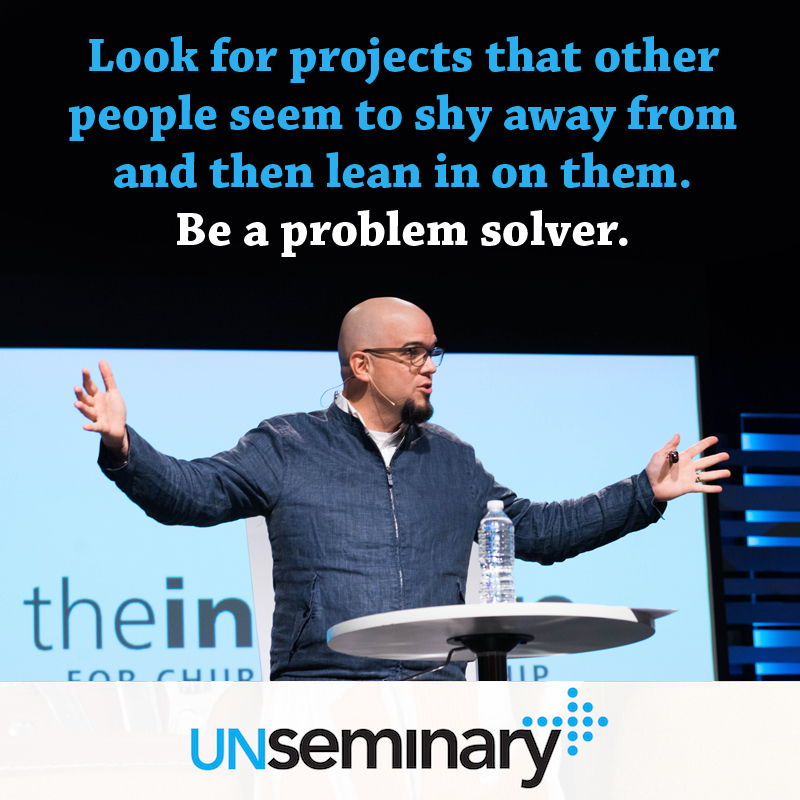 Look for projects that other people seem to shy away from and then lean in on them. Be a problem solver. Invest in Your Leadership Development // One of the best things you can do to gain more influence with your leaders is to develop your own leadership. Invest in training that helps you grow as a leader and as a person. Read more. Listen to podcasts. Take an online course or two. Your supervisor(s) will notice this investment and it will increase your scope. Be Ready to Change // Don’t fall into the trap of thinking that you have it all figured out. Let your leader lead! Be ready for them to provide some great insights and direction to make your idea better. Posture your interaction with them in a way that encourages them to provide feedback, as opposed to a “fully baked approach” that doesn’t allow them to give input. 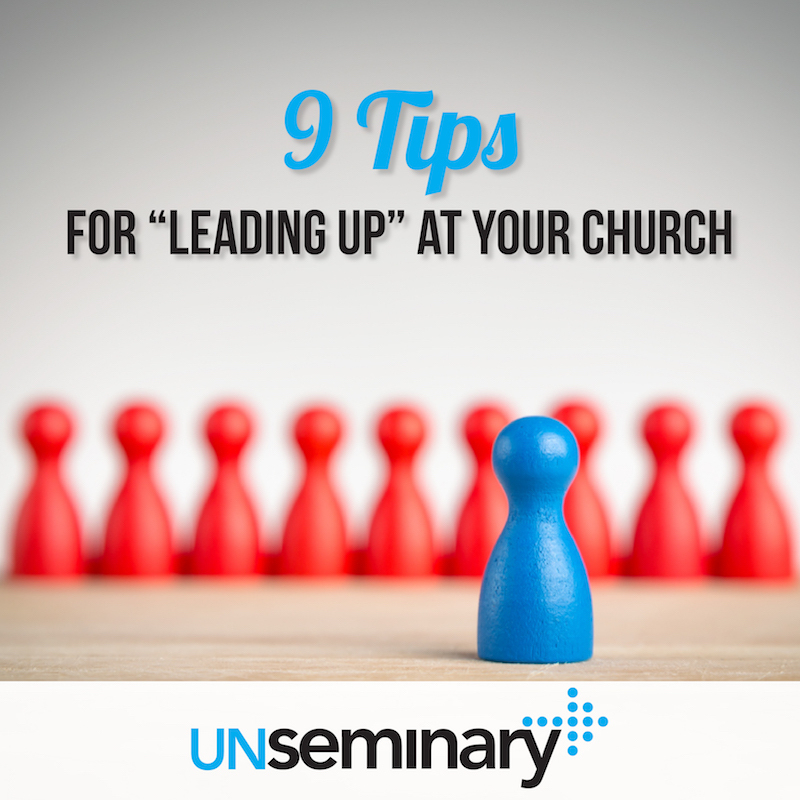 There is a reason they are leading you — let them lead and shape what you’re looking to do! One other action that helps is keeping your leader up-to-speed on your progress. If you received an assignment that’ll take several weeks to complete, mention your progress in a weekly one-on-one meeting or in a brief email each week (whichever your leader prefers). It communicates you’ve got it under control and will have the work done on-time. Leaders tend to appreciate proactive team members.